Life insurance is a written promise to the insurance policy by the insurer or the insurance company insured to provide financial compensation in the event of accident or injury to the insured. Insurer (insurance company) offers a range of products that meet the needs of the insured or prospective clients. Life insurance consists of several products, each product has a different advantage to serve a variety of needs and abilities of clients. This feature is maximum protection with relatively low premiums. Therefore, this kind of attractive to potential policyholders who have large insurance needs, however, limited purchasing power. Who is registering for this policy? • Prospective investors who want to protect the future of their children. • Prospective purchasers new career. 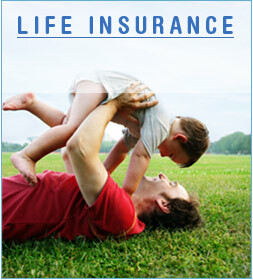 Characteristic of this insurance is the basic type of permanent life insurance offers protection life insurance. • Prospective investors who want the privacy and funds to generate savings that can be used for emergency needs. • Prospective purchasers who need permanent income protection (hospital bills). • Prospective investors who want to get some investment capital growth. Characteristic of this insurance is the protection afforded by the sum insured if the insured dies within a specified period, and provide the entire sum insured if he was still alive at the end of the coverage period. Because it offers two advantages, this insurance is called Dwiguna. This product is useful for prospective policyholders who want to be protected against the financial impact due to premature death. • Prospective purchasers who need funds for the education of children. • Prospective investors who want money for future needs. • Prospective investors who wish to have a pension fund. Characteristic of the unit linked life insurance (Single Premium) is the premium paid in a lump sum or a lump sum. Typically, a single premium desired by prospective purchasers who wish to invest long term. • Prospective investors who like to invest for the long term. • Potential subscribers who have excess money (money off) and intends to increase its wealth. Characteristic of the life insurance unit linked regular (Regular Premium) is also a long-term investment, where the method of lines of the payment policy, which is periodically or regularly. The unit was purchased for the premium received. • Potential subscribers who prefer to play in protecting. • Prospective purchasers who likes to play in investment, but still want to be protected. • Prospective investors who are still working and want to build up savings. Similarly, some types of life insurance, each has its advantages and disadvantages. And this is a kind of good fit with your needs and the ability to buy insurance themselves. Keyword: definition life insurance, understanding insurance, life insurance products, life insurance, defitinition, of, life, insurance, products, definition of life insurance products.